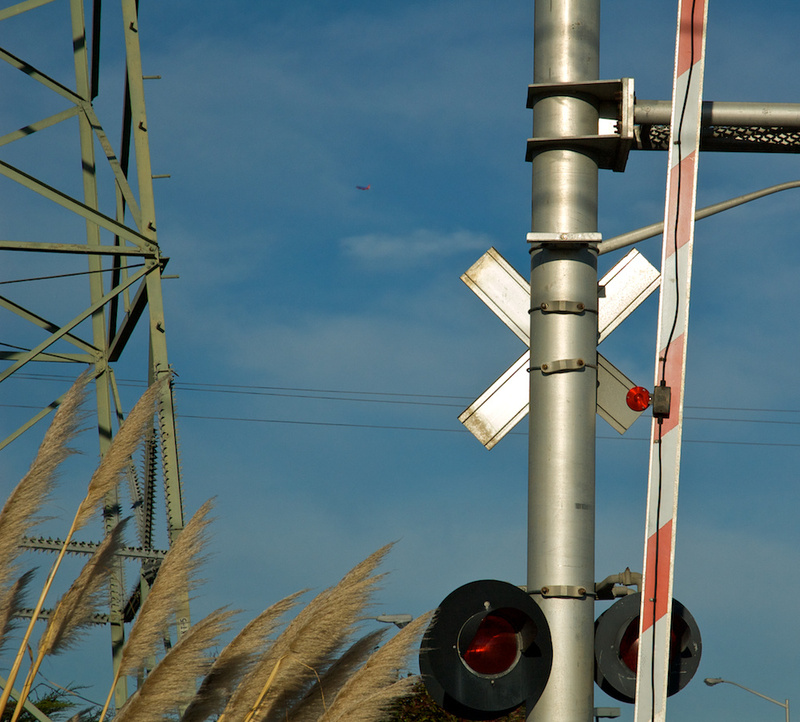 Airplane, crossing gates, power lines. South San Francisco, California. Shot with the Nikon D70s and the 18-70mm f/3.5-4.5 zoom at 70mm, ISO 400, f/8, shutter 1/2500 sec. Cropping, exposure, contrast, saturation, highlights, and shadows adjustments in Aperture.